During the past day, Russian-backed militants violated ceasefire 18 times across the zone of the Anti-Terrorist Operation, leaving one Ukrainian soldier killed and another two - wounded in action, as reported by the press center of the ATO Headquarters. "Fire exchange continued throughout the night in the area of Avdiyivka and near Butivka coal mine in the Donetsk direction, where Russian-occupation forces used 82-mm mortars, grenade launchers, machine guns, and small arms. Ukrainian troops responded to the enemy asymmetrically," the headquarters wrote on Facebook. 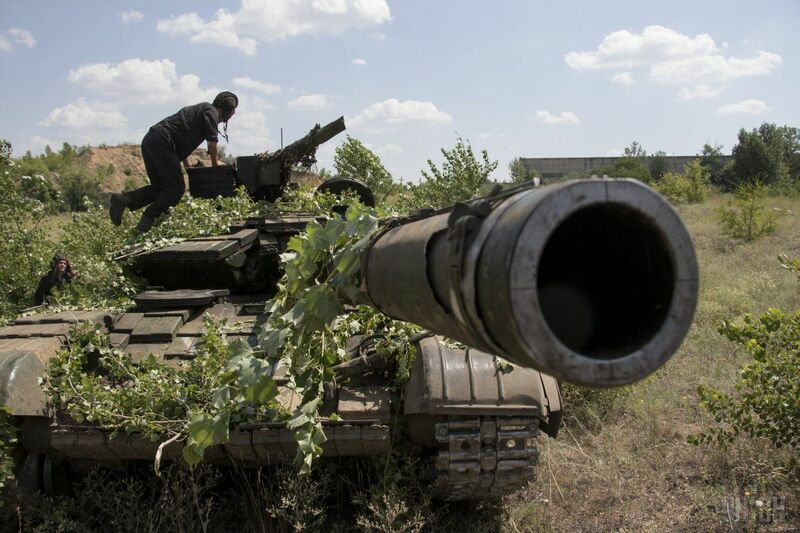 In the Luhansk direction, militants used banned 82mm mortars near the villages of Krymske and Triokhizbenka. At about 22:00, the enemy launched six 120mm shells on the positions of the ATO forces in the area of Novotoshkivske. Read alsoUkrainian soldier killed by enemy sniper near Maryinka on Monday afternoonIn the Prymorske direction, terrorists hit Ukrainian fortified positions near Novomykhailivka, Chermalyk and Vodiane from mortars and grenade launchers. In addition, in the evening, as a result of a grenade shelling of a Ukrainian strongpoint in the Talakivka area, two military were wounded. As UNIAN reported earlier, seven civilians were killed and wounded in the Luhansk region over the past month. In total, since January 1 of this year, OSCE monitors have reported 341 casualties.